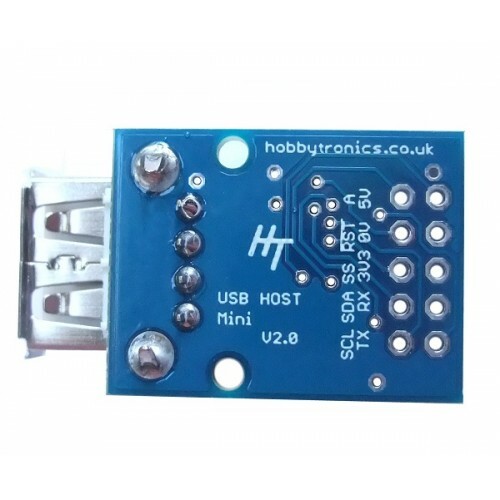 We took our popular USB Host board and made it even smaller to produce the USB Host Mini board. The board uses the same software and bootloader code as our full sized board so has exactly the same functionality, but sacrifices a couple of LED's. 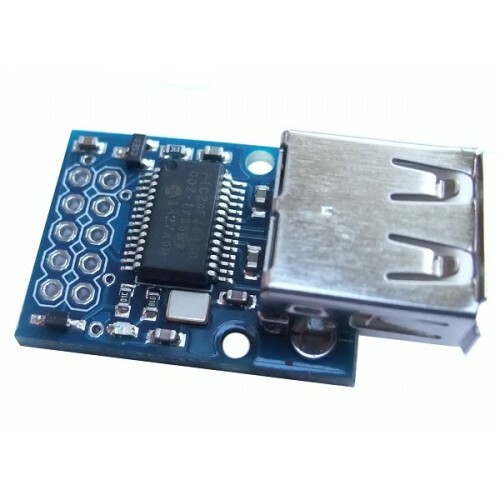 The USB Host Board is based around the Microchip 24FJ64GB002 microcontroller which contains a built-in full-speed USB host controller. 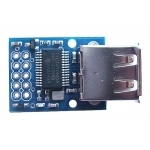 This allows the board to interface with and control any USB slave device - flash drives, keyboards, digital cameras, PS3 game controllers, and much more! 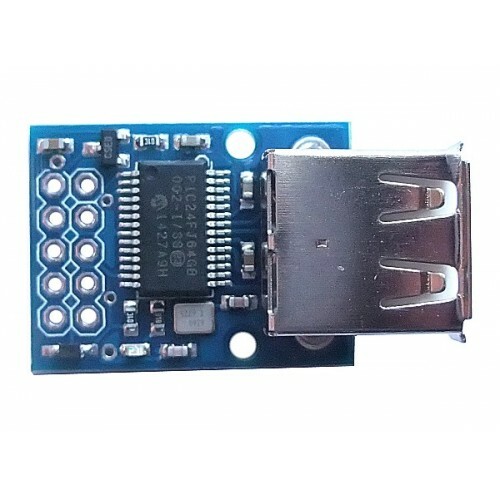 The USB Host board is designed to be as simple to use as possible. All of the complex USB programming is contained in the microchip so there is NO USB coding required in your application. This saves valuable programming space and saves you from having to code and debug USB interface routines. The onboard microcontroller has a bootloader and is easily updatable with any of our free USB Host driver software. All pins are 5V tolerant so will work with 5V and 3.3V microcontrollers. 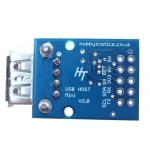 You can write your own software for the USB Host Board or you can download one of our free software applications. Downloading software to the board does not require a specialist programmer because it has a bootloader already installed. Connect up the power (5V) and GND lines, then connect the RX on the Host board to TX on the FTDI board and TX on the Host board to RX on the FTDI Board. You are now ready to install the new software. Once you have these setup we just need to click the Write button (just below the Commands menu) and the software will attempt to connect to the bootloader and upload the new software. In order to make the bootloader active though we need to reset the board by briefly connecting the reset pin (RST) to earth. This needs to be done as short time after clicking the Write button. NOTE: DO NOT attempt to program the board with a PicKit programmer or other similar programmer. If you do then the bootloader program will be overwritten. The bootloader is an integral part of the code and the board will no longer function.